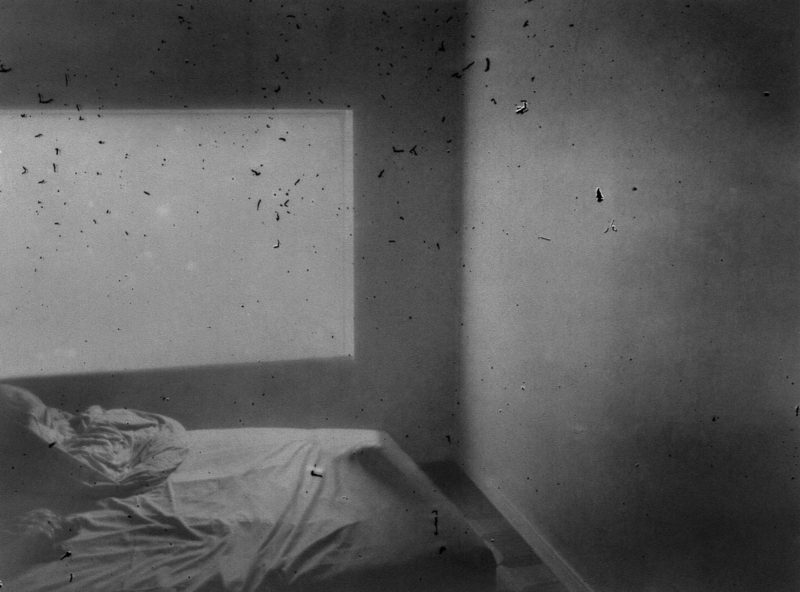 Over the course of the past year, I’ve probably spent more time looking at Daisuke Yokota‘s photography than at any other artist’s. Of his most recent books, I own three – the one that is part of the Nocturnes box, Linger (the regular edition), and Vertigo, the most recent release (which I yet have to review). There is one other book that’s still relatively easy to get, Site/Cloud . I did see the book at a book fair last year. It had just been released, but I ended up not buying it, given I wasn’t very excited about the production itself. Not that there’s anything with the production per se. It’s a wonderful hardcover book, with (as far as I remember) nice printing and all. But it didn’t seem to do the photographs much justice. 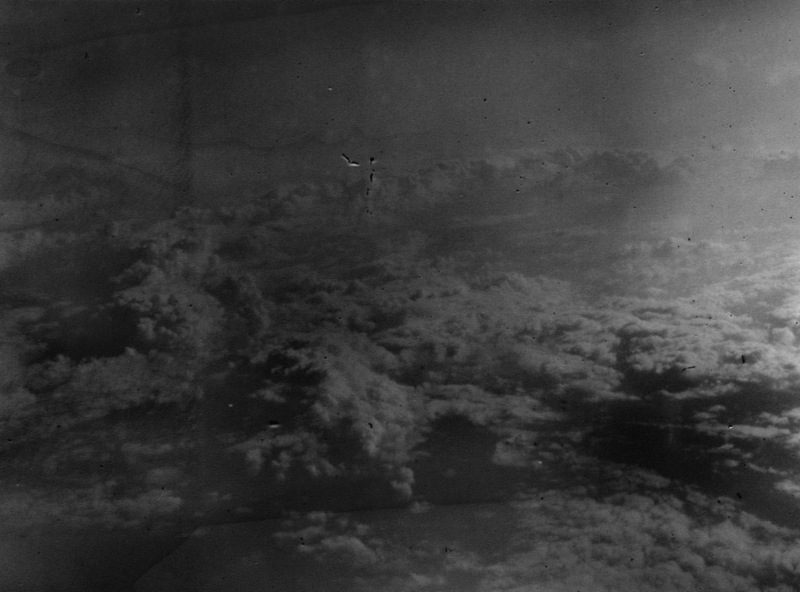 Yokota’s photographs are heavily process based. They’re not entirely about process, but there’s no way around at least acknowledging the role process plays for this photographer. If you look at the online preview of FOAM Magazine‘s 2013 Talent issue, available here (you really want to look at the actual magazine, but the electronic version might entice you to buy it), you can see some of Yokota’s work plus a brief interview I conducted with him (it’s on p. 48). Yokota’s process is quite convoluted. Imagine you take a digital file, and you save it using jpeg compression at a low quality setting (resulting in a smaller file). As a consequence you’ll get compression artifacts: the resulting image will contain all kinds of digital patterns produced by the algorithm that writes the file. If you reload this file, and repeat the process, the compression artifacts will be amplified. The image gets more and more degraded with each iteration. You can think of Yokota’s process as a much more complex version of this process, with various analog parts. Photographs are being printed, rephotographed, the film is developed in ways usually not recommended (the temperature might be too high), prints are being made from that, etc. This process gives Yokota’s work its own look and feel. Or rather, it contributes a notable component to this look and feel. After all, the choice of subject matter, the framing, the use of artificial light (flash)… All of these choices, many of which appear to be random at first (but which are not), contribute to photographs that are unlike much of what we see in contemporary photography today. 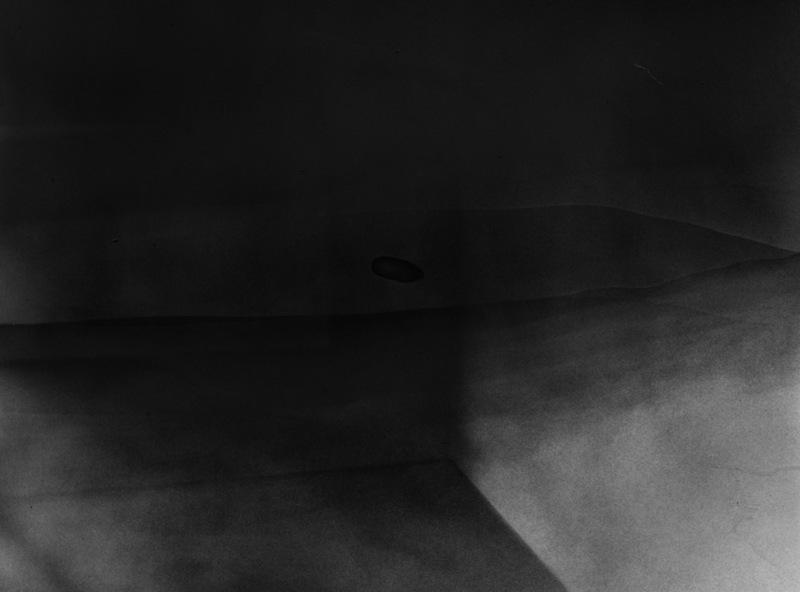 Where today’s popular New Formalism produces imagery that for the most part seems intent on outdoing itself in terms of its detached clinicality, of being devoid of much – if any – sensual passion, Yokota’s photographs live in the somber shadows, where all kinds of other, possibly unpleasant, surprises might linger. In the FOAM interview, the artist spoke of the importance of dreams. The work does indeed have a dreamlike quality. But it’s not necessarily an entirely pleasant dream. Linger might offer the most obvious story line of any of the publications. The photographs very clearly allude to a sexual encounter between a woman and a man (who resembles the photographer – as far as that can be made out, given the process). While this might bring artists like Nobuyoshi Araki to mind, or Antoine D’Agata, Yokota’s approach and work transcends them both. 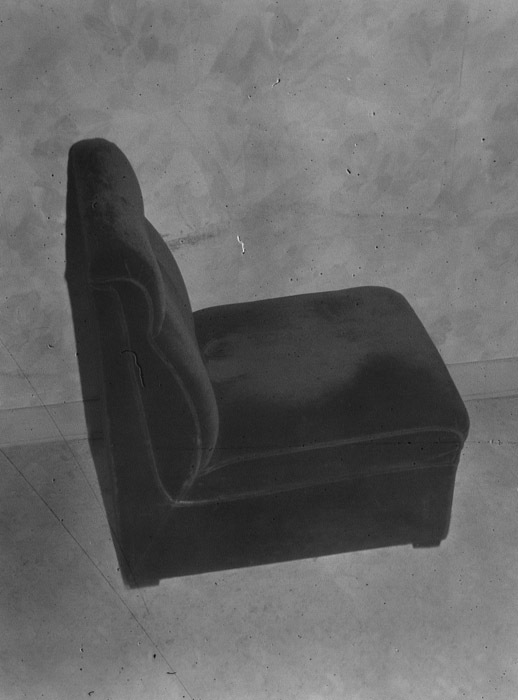 In the case of Araki, what used to be merely an obvious and very good part of a honeymoon trip (in Sentimental Journey), over the years morphed into something where it has become hard to see much beyond what looks like a photographic shtick. The same can pretty much be said for D’Agata’s work. Linger, in contrast, doesn’t feel as calculated for effect as most of Araki’s recent and all of D’Agata’s work. Instead, it is infused with a sensuality that, in part, derives from its aesthetic (process) and in part from how form and content are made to work with each other. 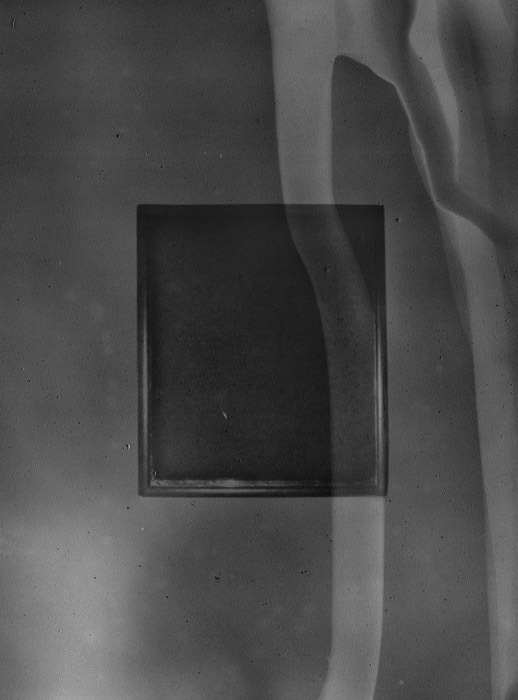 A better reference would in fact be Dirk Braeckman, a kindred spirit in terms of both form and content. The form, to a large part driven by the process, also if not dictates then at least very strongly suggests specific choices for books made around Yokota’s work. The reason why I liked Site/Cloud so much less than the other ones is because it just didn’t feel right. The paper used for the book lacks character, thus depriving the images of a lot of their power. 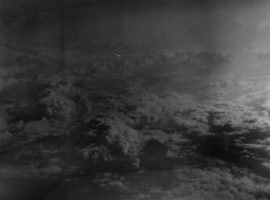 Combined with the way of printing, Site/Cloud felt lifeless to me, a mere simulation of the photographs, not a reproduction. Linger, in contrast, uses a heavy paper stock that responds to the touch. It almost looks as if the pages were in fact the original photographs. These kinds of details matter, especially in a case like Yokota’s work. If Linger is relatively clear in terms of what might be going on, Vertigo is anything but. Where it isn’t somber it is outright dark, as if to convey a delirious fever dream. The photographs in both books aren’t necessarily that different. But there is less of a focus on the human form in Vertigo, certainly less of a focus on two people having a sexual encounter. Instead, moody landscapes or what look like abandoned, deserted rooms in utopian settings set the scene for an almost distressing experience for the viewer. If Linger presents a setting one probably wouldn’t mind finding oneself in, Vertigo does the complete opposite. Given the relative uniformity of the process, I spent quite a bit of time wondering about how Yokota would possibly be able to maintain the viewer’s interest, without falling into the D’Agata trap, where the aesthetic becomes a tiresome shtick. That was before I saw both Linger and Vertigo. But now it is clear to me that there are considerable opportunities present in this artist’s mind that result in these very different books. This is a most impressive achievement, given that the form of the photographs itself at least initially seems so overpowering. But their content manages to sustain its own role and importance. And that matters greatly, especially since we live in a world where flashy form and content are valued so highly: as long as it generates clicks or usually short-lived excitement, it’s gold. 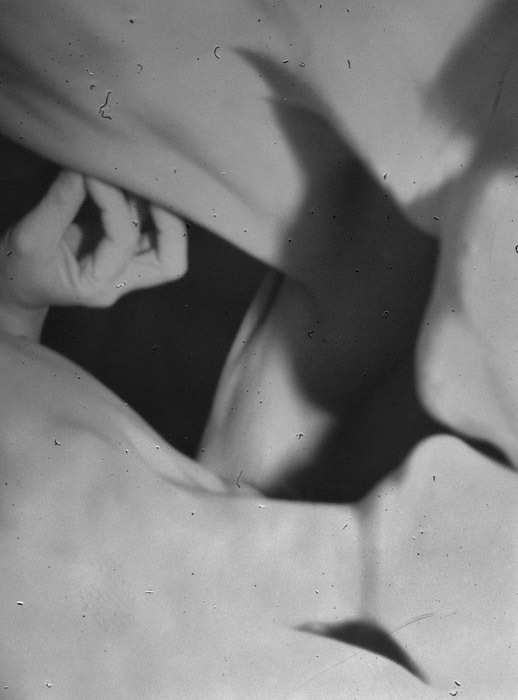 Daisuke Yokota offers deeply inspiring form and content in a way that is almost old-fashioned (given his insistence on the process) and that asserts a non-fleeting presence. This photographer is in it for the long haul. 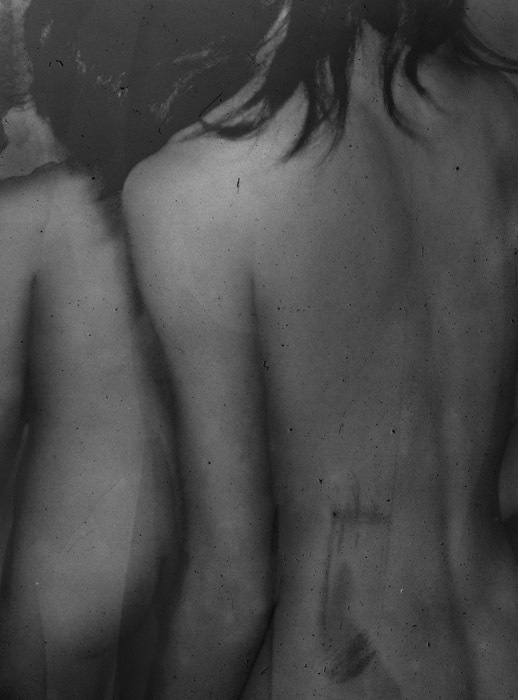 All photographs © and kindly provided by Daisuke Yokota.